How well is your marketing working? If you don’t have an immediate, clear answer to that question you need to get better marketing metrics. It’s a cliché that what gets measured gets managed, but for a reason. If you don’t know something isn’t working well, how can you improve it? If you can’t pinpoint the specific stage in the revenue funnel where you’re losing leads, how do you know where to focus your attention? If you don’t know your most effective channel how can you make informed investment decisions? 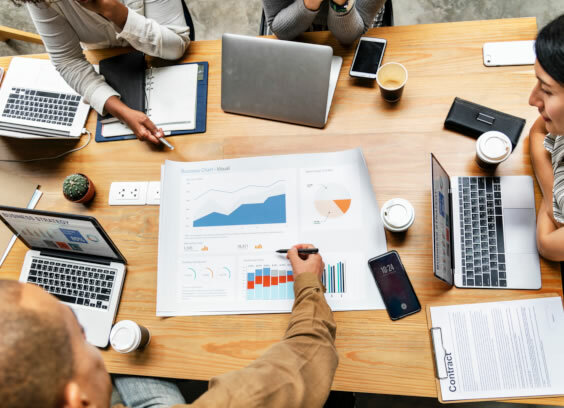 And with Marketers increasingly under pressure to justify ROI and demonstrate their contribution to the business, it is vital that marketing leaders are able to prove their worth with hard facts and figures. Metrics matter, and our ability to measure our marketing work has grown exponentially in recent years. Not so long ago marketers waited weeks to discover whether a campaign was working, whether investment in a new channel had paid off, or whether a new hire was delivering. Now, digital platforms give us real-time performance metrics at the touch of a button. 1. Qualified leads: As you progress leads through the funnel, you need to keep topping up at the top of the funnel. If this number is shrinking, soon your entire funnel will dry up. So, keep a close eye on it, and take action to correct it if it starts to fall. Make sure you are consistent in your definition of a qualified lead and get agreement from sales on what such a lead looks like. 2. Customer acquisition cost: New customers are good. Revenue is good. But profit is even better, and a major factor in the profitability of a new customer is how much it costs you to acquire them. Track this metric and direct your efforts to the segments where customers cost the least to acquire. Or if acquisition is expensive across the board perhaps review your marketing process Are there efficiencies you can introduce? Is there any savings you can find without impacting outcomes? 3. Velocity of leads across the sales cycle: If leads take too long to become customers, it often indicates that some part of the funnel is not functioning as well as it might. A slowing rate should prompt you to investigate further. 4. Conversion rate through the funnel: Equally if your conversion rates are too low you may be burning through leads too rapidly. Not only will you soon run out of raw leads, but also some element of your marketing or sales activities may be alienating potential customers, damaging your reputation and storing up problems for the future. Review, amend, change tactics and monitor how those impact your conversions rate. And don’t forget to give each change time to take effect. 5. ROI: Customer Lifetime value / Customer acquisition cost: A high acquisition cost for a new customer can be offset by a high lifetime value. But if you are spending big to win customers that then deliver little revenue, that is a problem, and it should prompt you to redirect marketing efforts to a more profitable area. 6. Marketing originated Customer % — and revenue value: in many ways this is the ultimate metric. It’s the one you put in front ofthe CEO, the Financial Director or the board when justifying budgets. It’s the one that allows you to say: “If it wasn’t for the work we did in marketing this percentage of customers wouldn’t be with us.” Know the number. It’s yourjob to increase the number. 7. Marketing inﬂuenced Customer %: You should also be credited, albeit to a lesser extent, for the customers who were exposed to your marketing but then became customers through another channel. 8. Net Promoter Score: The classic score of customer satisfaction, this is a key metric for every function in every organisation. It should be tracked constantly. If it falls you should be looking to find out why and taking action to reverse the decline. Happy customers stay with your longer, buy more from you and recommend you to others – a golden nugget that you need to nurture! For most marketers, the most efficient tool for tracking those metrics is a combined CRM and marketing automation platform. It provides them with a clear view of those eight metrics, amongst much else, and allows them to provide support where it’s needed, target investments for optimum results, and make the right decisions for their organisations. Also, it allows them to know the answer to the question of how well their marketing is going and what their contribution is to the business – earning them a seat at the revenue table!